We still think this was the most fun bracket to put together, and even though some of what we thought were the most impressive rollers of the season have gotten knocked out, you can’t go wrong with any of these beauties in the semifinals. Vote to see your favorite advance to the final. You’ll need to have a roller in the bag to succeed at USDGC, and Seppo Paju showed here that he has the chops. He also won the closest quarterfinals matchup over Ricky Wysocki by only 5 votes. FIVE! We said it before and it bears repeating here: Catrina Allen has the best roller game in the FPO field. This shot in Vegas is dirty. Just like Seppo, Josh Anthon was relying on all his utility shots to get to the pin at Winthrop. Monster distance, through a picnic shelter, and right after his teammate’s big roller, Eagle McMahon did some things at the Memorial. 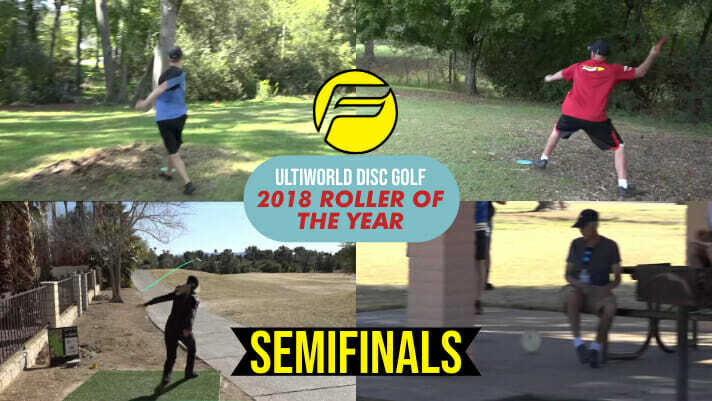 Comments on "2018 Roller Of The Year – Semifinals"